When there is time, it’s good to take some portraits shots, even to the bride alone, as she is the real protagonist of the day and it’s good to remember her beauty and her intimate feelings on her wedding day. A portrait can tell many thing. The bride walks in the historical park of the castle, while watching the camera, around of some beautiful classical statues and trees. 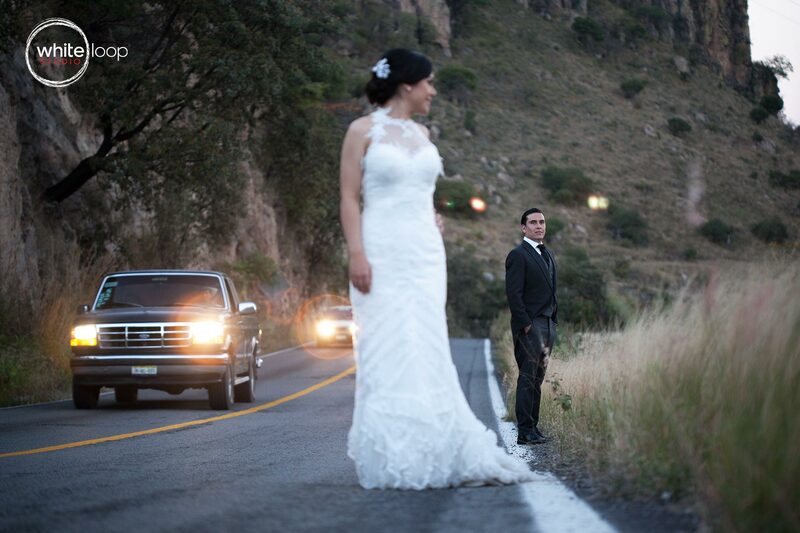 In the middle of the highway the bride and groom are looking each other smiling and escaping for a little moment. The bride is illuminated in the middle of the lobby. 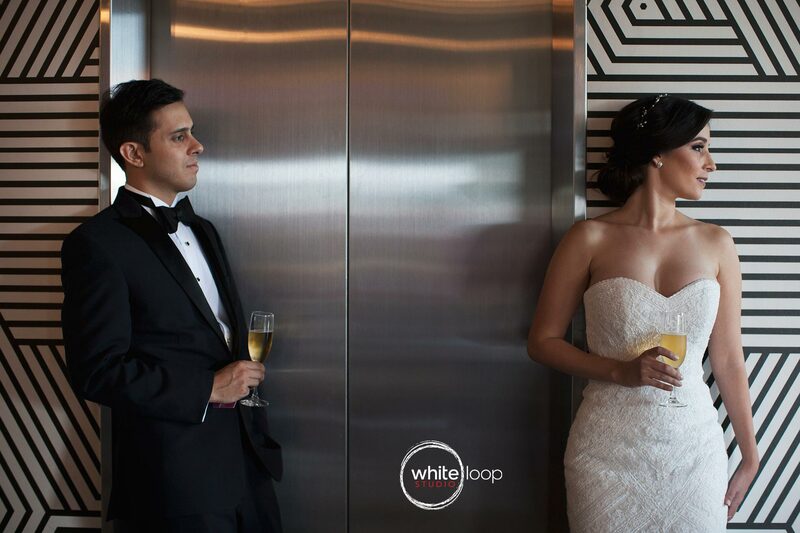 The groom is looking the beauty of the bride white they drink to celebrate some white wine, in the aisle, outside the elevator. 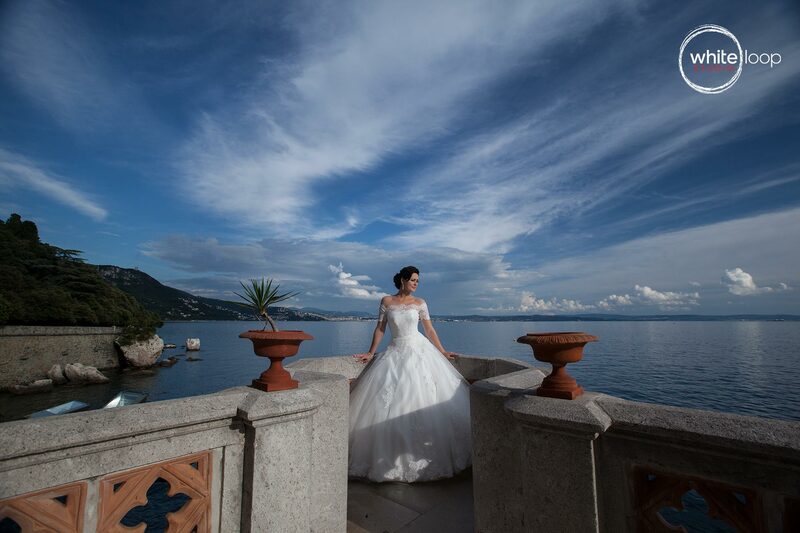 The bride in a dock and in the back she has a open sky and the blue beautiful sea of Triest. 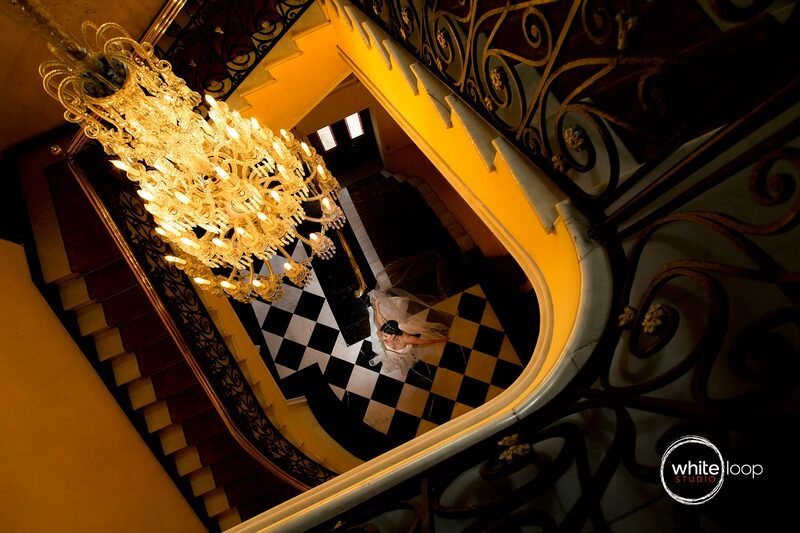 The bride is captured on the stairs, with poor light projecting the beauty of her in the wedding dress. The groom is admiring the beauty of the bride, and it looks like he is protecting her, being like backwards. 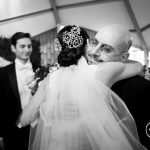 An intense glance of the bride while hugging the groom during a casual shooting in the nature, capturing the reflection of her emotions. Did you like our wedding portraits? Are your planning a similar session? We can help!